I attended the night glow at the Bristol International Balloon Fiesta on Thursday 10th August. Unfortunately the wind was too strong for the large balloon to take off which left me disappointed as I did hope to get some images of the balloons taking to the Bristol skyline. However the night glow show was excellent and if you have never seen this spectacular show then I would thoroughly recommend it. There is a great variety of different balloons, with many sponsored by the big brand names and others that are famous characters. This one is a Minion, which looked so good with its arms and hands moving in the breeze. 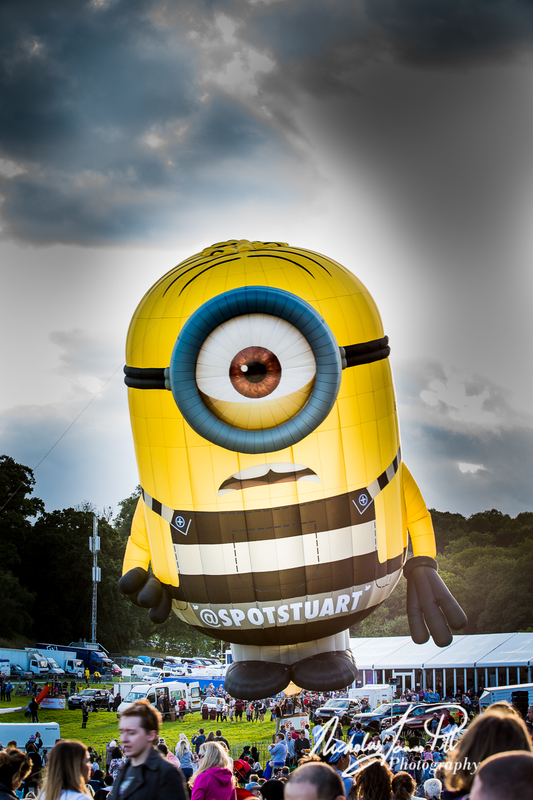 As the wind was t strong the poor Minion was unable to take to the skies. The balloons light up in synchronisation with music to the delight of the very large crowd gathered around the arena. 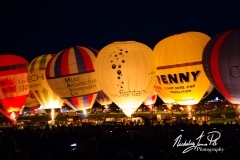 Later in the evening around twenty five smaller balloons positioned themselves in a circle around the arena ready for the night glow show. The balloonist had practised a routine using light bulbs to synchronise lighting their burners in time with the music track. 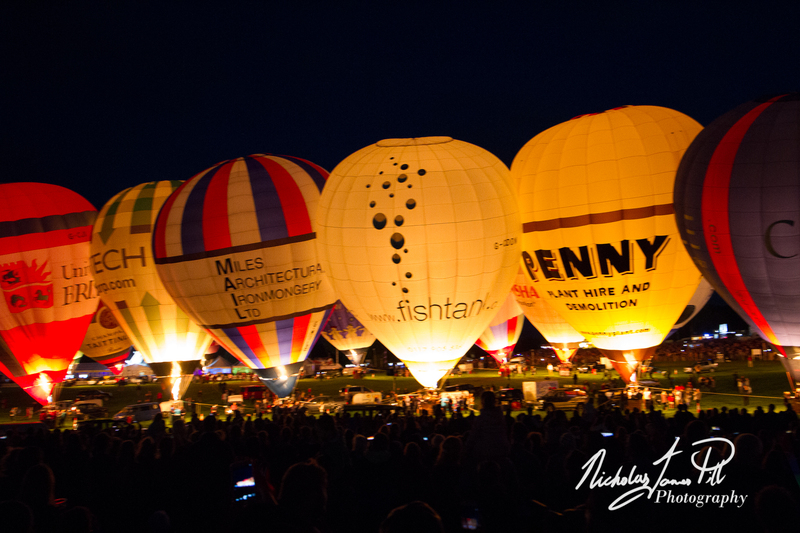 The sky was filled with glowing balloons, flames and really loud music all with the theme of energy, as the main sponsors were Bristol Power.